With one of the best releases of 2010 in 'Varuna', Long Island, NY's The Republic of Wolves have kicked off 2011 with a new EP, 'The Cartographer'; an intriguing release that sees the band taking on a more experimental approach. The Republic of Wolves recently spoke to Alter The Press! to give us an insight into the EP and a track by track guide. The Cartographer is a conceptual album that follows a young boy in search of his father, a map maker who he believes has been lost at sea. The story and songs can be interpreted in many ways, but the general themes of making choices and being lost are undoubtedly the glue that holds it together. In the first track "The Pilot And The Pilot's Boy" we used sound design and instrumentals as a method to create an eerie but powerful introduction to the story. The song opens with a clock ticking in the bowels of a ship, then a door opening onto the deck where we can hear the sounds of an approaching harbor. This song is supposed to represent a dream that sets the story in motion, a homecoming. The second track "Home" is about leaving and the struggles in doing so. The song also deals with relationship conflicts and family dispute. The high energy of the song reflects the strong emotions involved, and also sort of kicks the story into motion. The third track, "Calm Down," revolves heavily around a father/son dialogue via a letter that was left before the father's departure. The calming nature of the song evokes both the title in a literal sense and the message in the letter. We felt it was important to keep the production of these songs both organic and in a sense more theatrical and bold than our previous releases. So when deciding to add percussion to this we used things like steam, metal, and mechanical hits to create an atmosphere more committed to the concept. "Calm Down" ends with the creaks and moans of a harbor. "Widow's Walk" seamlessly begins with these sounds. We spent a lot of time making sure the flow of the album was seamless, since we really wanted it to seem as if "The Cartographer" was a story with the songs as its chapters. This song sees multiple perspectives of the story. It's the beginning of a journey and deals with the terrifying reality of making the decision to pursue a life at sea. The chorus sections on this one follow the same instrumentation but change lyrically to represent the different perspectives of the same story. The ending represents a tumultuous internal struggle, an allegory for facing one's demons. "India" is about self-doubt and frustration. The internal battle that started in the previous song kind of grows into a metaphorical storm, as the character questions his own motives and becomes overwhelmed with uncertainty. The more intricate and complex technical aspects of this song reflect the themes of confusion and helplessness. We approached "Mirage" with a very minimalistic production idea; easy on the drums and strong percussive instrumentation. This mixed with aggressive gang vocals and big atmospheric guitar effects really made the song unique. The concept of this song is based around hallucinations at sea (more specifically as a result of malaria). The final track, "The Dead Men Stood Together," ends the story literally and thematically. Again it takes several different perspectives, but revolves mostly around the death of the main character. In a reflection of the song title, it goes on to show that the boy and his father were united in death, whether in a literal sense or a metaphorical one. The ending refrain brings back an important theme of the entire EP, symbolizing a cathartic understanding. It shows that the story can be seen as an allegory for the struggles we all face at some point or another. At the very end of "The Dead Men Stood Together" there's an alternate version of a song off of Varuna titled "The Attic". 'The song "The Attic" is about the story told within "The Cartographer". 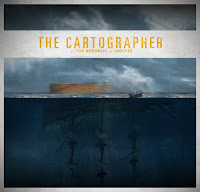 'The Cartographer' by The Republic of Wolves is available now through Bandcamp. The Republic of Wolves on MySpace, Twitter, Facebook and Tumblr.